What a perfect way to announce that you are having a baby with this Football ultrasound baby announcement! This is a digital item that I will send via email (or etsy messages) after I add your info to the image. 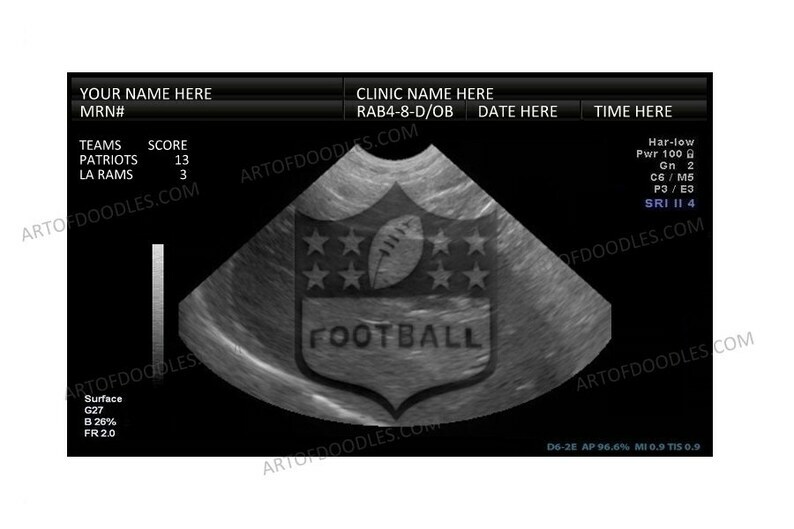 If you want a different sports team or an actual fetal image please contact me after purchase. Note: You will get a sample download right after purchase. I will send your final image after I edit the image with your information.